If you love waterfalls (and plenty of them), then Iceland is the place to visit. Whilst lacking the size and perhaps grandeur of more famous falls like Iguazu and Victoria, they are nevertheless beautiful and more tranquil than these bigger, brasher places. Once in Reykjavik, you won’t need to catch a flight or dodge hawkers to appreciate Iceland’s watery wonders. All the falls mentioned are within a couple of hours drive of the capital, and can be visited either independently or as part of an organised tour. Gulfoss, the golden waterfall, is the picture-postcard for Iceland’s exquisite scenery. 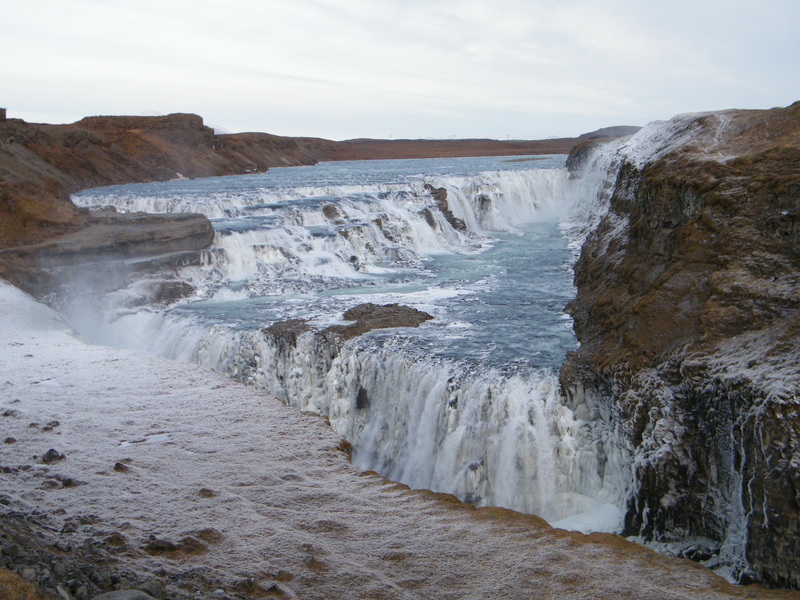 If you time your trip for the winter months, you should be lucky enough to witness the waterfall partially freeze over. I believe Gulfoss looks far more stunning in this season – for me, it was worth braving the sub-zero temperatures to get a glimpse of the steely blue river cascading over the clinging chunks of ice. Any tour of the Golden Circle will include a stop here. Walking behind a waterfall still counts as one of my top travel experiences. Pictures of Seljalandsfoss really don’t do it justice – there’s a cavernous quality to the place which amplifies the gushing sound and makes it seem more powerful. Scrabbling around this curtain of falling water and hearing it thunder into the plunge pool below is just phenomenal. Like at Gulfoss, I enjoyed being able to see the waterfall from a slightly different perspective. Not as obvious as its neighbour Seljalandsfoss, this waterfall is hidden behind two walls of rock, through which there is a narrow opening for visitors to venture into. You will have to get your feet wet to see this waterfall, so be sure to bring waterproof boots! 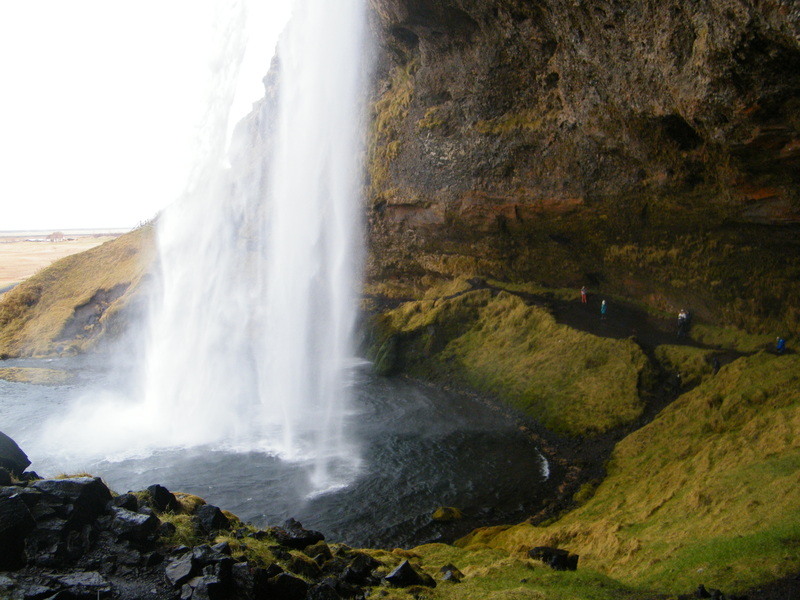 Gljúfrafoss is less intense than the other falls, having an almost ethereal lightness to it. With sunlight spilling on to the moss-covered surrounds and the gentle spray on my face, it was like being in a faerie grotto. As you’ve probably guessed by now, ‘foss’ means waterfall. 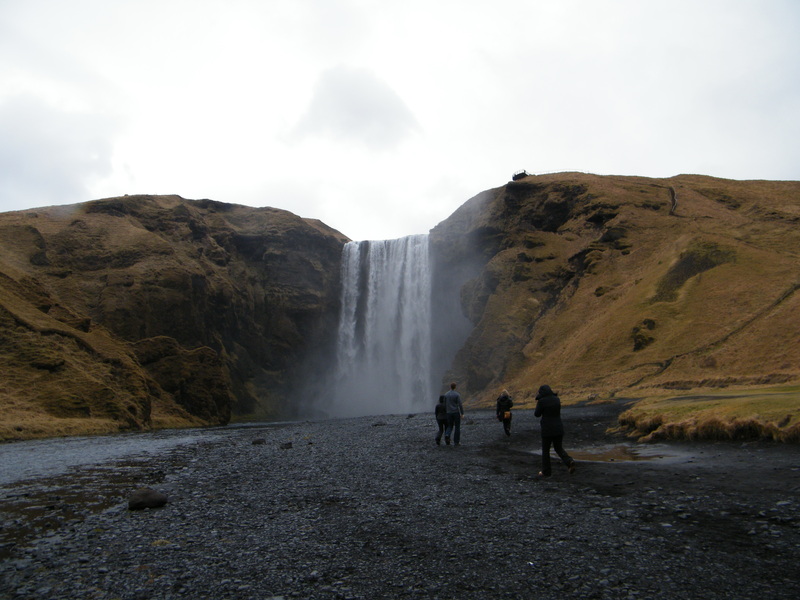 With Skogafoss, you have the opportunity to see the falls from above as well as below, if you don’t mind a bit of a climb. However, you won’t have to clamber over rocks here as there are steps leading up to the top. It’s an impressive waterfall, and if you have a head for heights, you can gaze over the viewing platform’s safety rail to fully appreciate the sheer drop. There are many more ‘fosses’ to visit in Iceland – these four are just a brief taster of what the country has to offer. Although none would make the world top ten in terms of size, I loved being able to get up close and experience their unique charms. 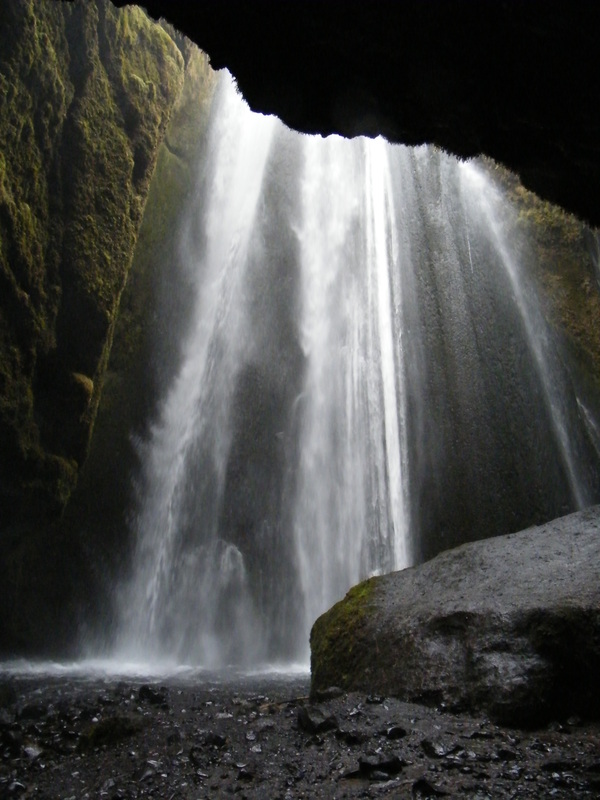 In the case of Iceland’s waterfalls, good things really do come in small packages!